Ok so the next race coming up is the British Grand Prix which is held at Silverstone Circuit. I really really wanna go this year but looks like that’s impossible since our babysitters have bailed on us now! 🙁 So I’m going to just have to relive my only experience of Silverstone to date. This is a regurgitation of a page I’ve already had up for a while so if you’ve already read this before I apologise. When rumours started flying around that Webber was going to retire at the end of 2012 I said that I wanted to see Webber race at Silverstone before he retired. 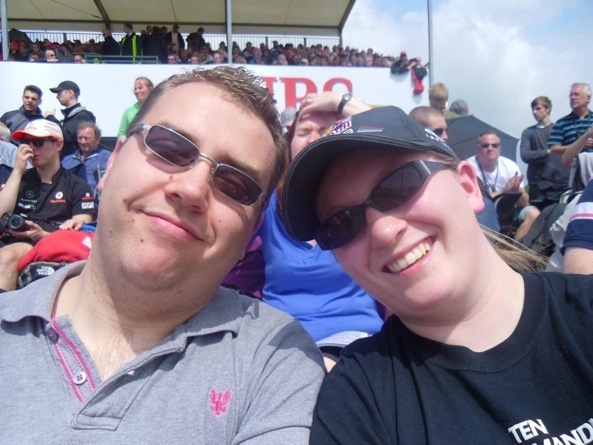 We looked at going on a bus trip but decided it was too expensive and really we just wanted to go for the race day. I managed to buy half price tickets (saving of over a £150!) from a local tour operator as they were going spare. 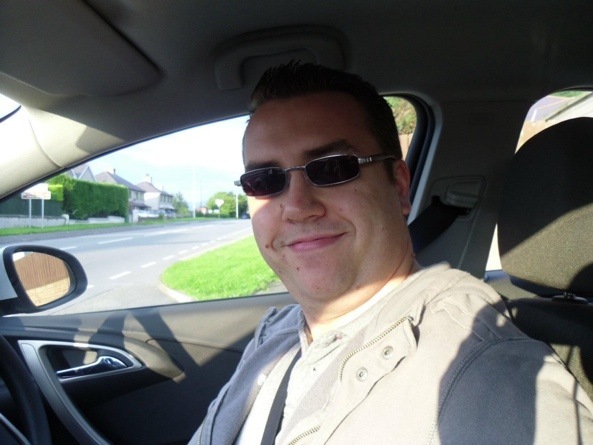 We had planned on going down to Northampton and then get the park and ride to the circuit. Except I found out on the Saturday afternoon that you had to pre-book the park and ride tickets! I phoned the circuit to ask what could I do and they said there was a shuttle bus goin from Northampton train station at 6.30am which would get us to the track by 7.30am. Brilliant except how on earth were we going to get to Northampton by 6.30am and where to stay? All the hotels were booked so we couldn’t stay anywhere on the Saturday night. At 10pm on Saturday evening we left our house in Morth Wales an travelled the 300miles or so to Nortjampton. We parked the car at Northampton train station and slept in it over night. It wasn’t the best nights sleep ever but we survived! At 6.30am we got the shuttle bus to the circuit. It dropped us off in the village of Silverstone and we then had to walk a mile or so to the nearest entrance. As he tickets we had were General Admission ie no grandstand seat, we had brought folding chairs with us. Also it had been atrocious weather on the Friday and Saturday (floods and eveythibg) we had come prepared with waterproofs! We decided to plonk ourselves down at Copse Corner as it is a famous corner. We got a good view of the cars coming up to the corner and them around it. 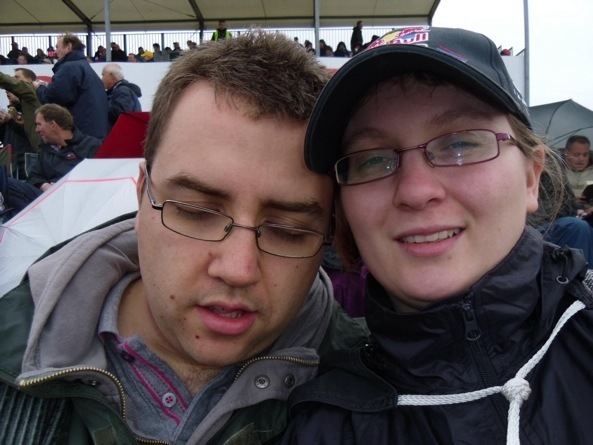 For the pre-race action it was damp and we saw some cars slide off into the gravel trap. The Red Arrows then did their stunt display and it started to brighten up. By the parade lap it was beautiful blue sky and by the race itself there wasn’t a cloud in he sky! The race itself was brilliant. There was a battle at the front between Alonso (1st place) and Webber (2nd place). 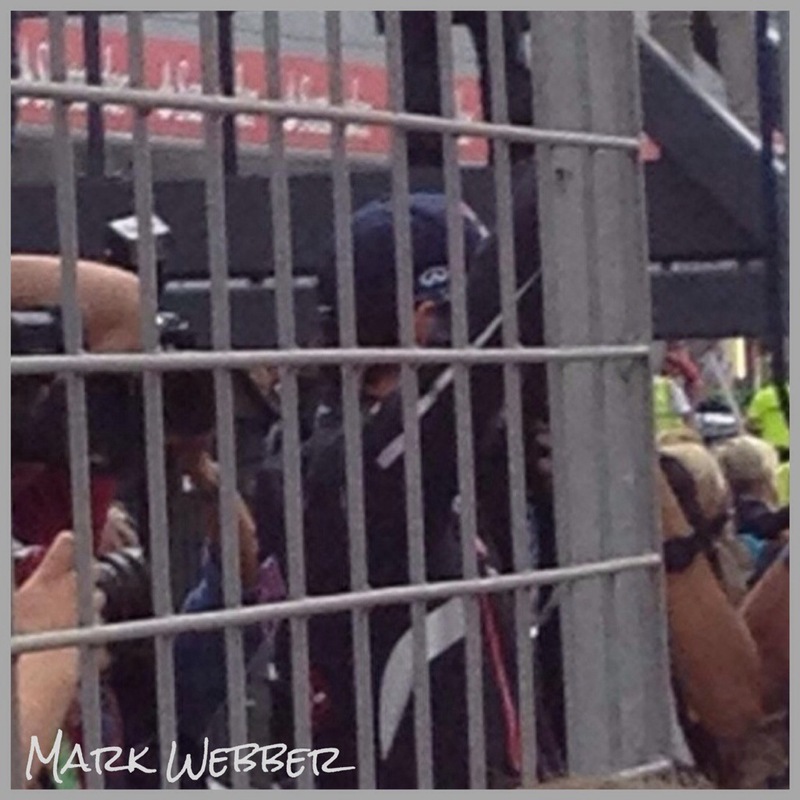 This was fantastic as I support Webber and the husband supports Alonso – who’s man was going to win?! I can tell you, my man won!!! Webber had been behind Alonso since the start but due to fresher tyres and DRS he overtook Alonso with 3 laps to go and continued to take the chequered flag! 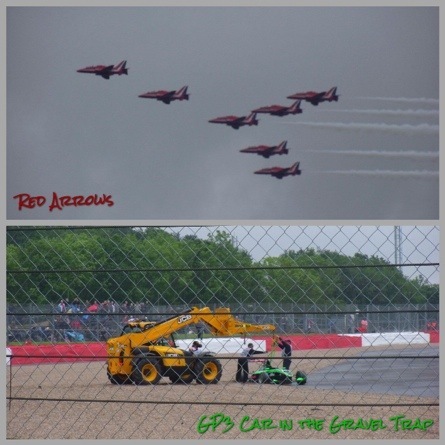 They continued on around the track for their victory lap so we were cheering away at the fence at Copse Corner and you can spot us on the TV coverage! The only shame about being at Copse Corner was the fact that it was so far from the podium so we missed the podium action. But we did walk down to the pit straight and got to see some of the teams packing up. We also saw the Red Bull team gather for the team photo. 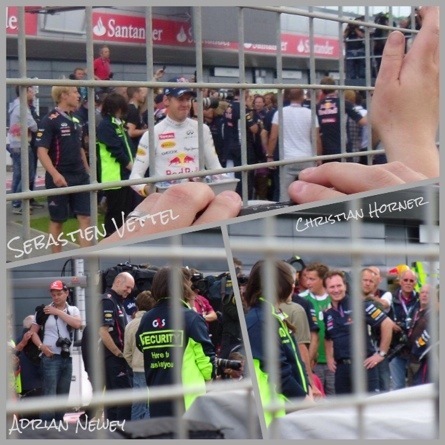 We were a bit too far to get any decent photos but we saw some of the key people – Christian Horner, Adrian Newey, Sebastien Vettel and of course Mark Webber!